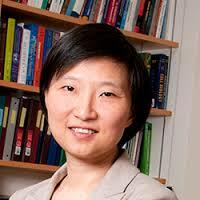 Xiaowei Zhuang, David B Arnold Professor of Science and Director of the Center for Advanced Imaging at Harvard University, and an HHMI Investigator, will receive the 2019 NAS Award for Scientific Discovery at the NAS Annual Meeting on April 28, 2019. Zhuang, appointed a Vallee Visiting Professor in 2017, is a world-renowned pioneer and leader in super-resolution imaging, single-molecule imaging and genomic-scale imaging. The technologies developed by the Zhuang Research Lab have provided critical understanding of the molecular mechanisms of cellular function.